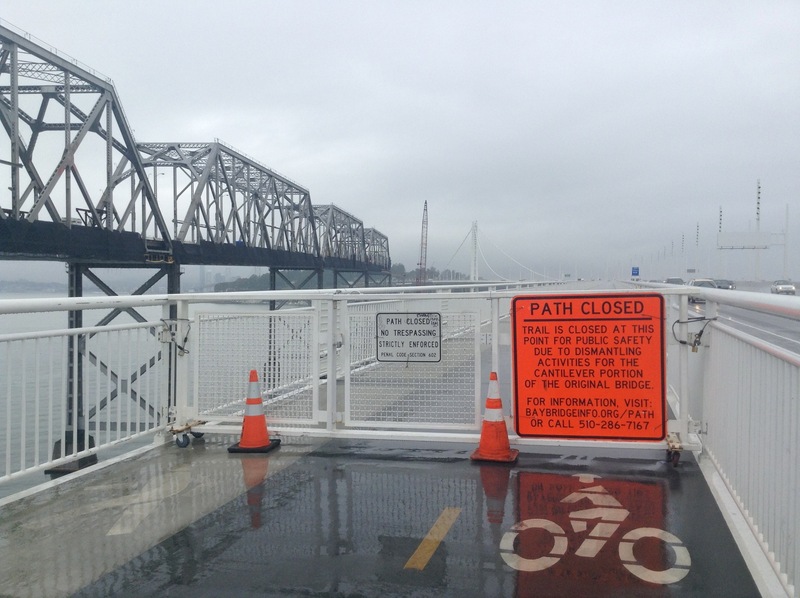 Your intrepid Streetsblog reporter braved a few rain drops to check out the Oakland Bay Bridge bike path yesterday afternoon and found it still open, at least partway, despite Caltran’s recent announcement that it would be completely closed until April. The approach gates were all wide open, and no new signs had been put up. 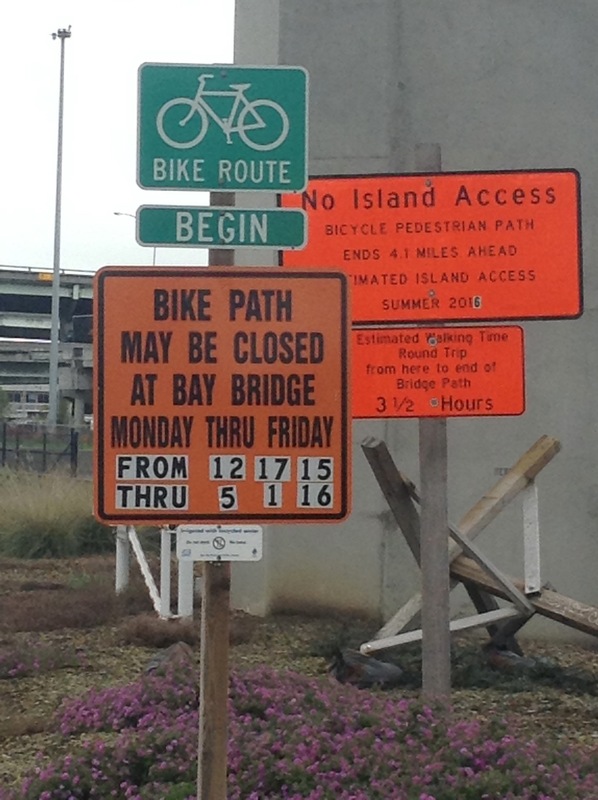 If the path is really going to be closed, it’s not very clear to anyone riding or walking in the area. The sign below has been up for months, and warns only about weekdays. Maybe bridge workers assumed no one would want to ride the path on such a wet day, but I was far from the only person enjoying the facilities. 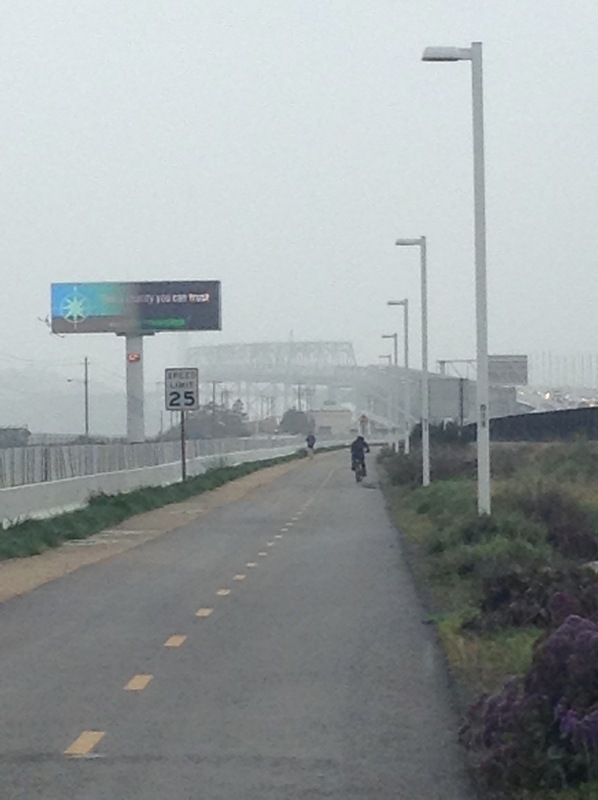 Even on this dreary weekday there were people out on the path. So, if your workout itinerary includes a run up the bridge, don’t give up yet. Yeah, I went Monday, the first day of the alleged closure, and it was open all the way to the end. I figure they are just late, like everything else about the bridge. Meanwhile, the official hours of the path change today, it will be open until 8pm unless it’s closed. If the rain ever stops this will be a so-far rare opportunity to be on the path after dark.